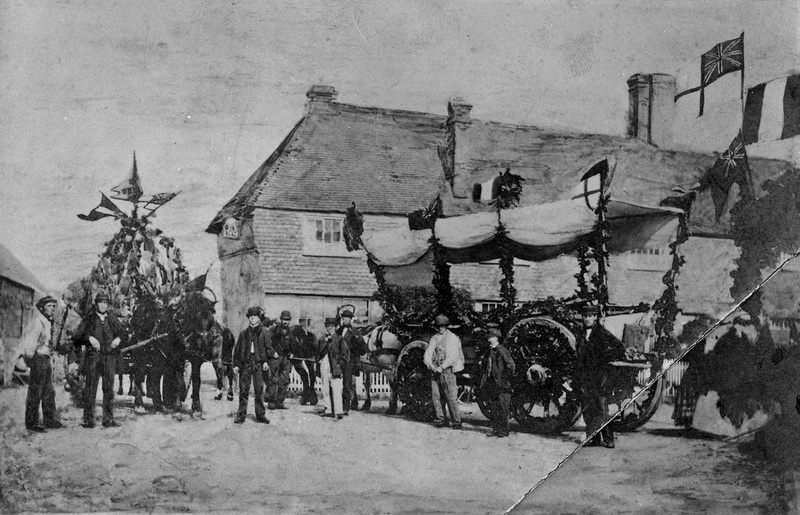 Waggons decorated for the Harvest Home parade on September 14th 1864. The Order of Proceedings required men to have a bouquet of three ears of wheat on their left breast. The procession was headed by the oldest labourers and the "musical band". This photograph is one of only a few showing The Cat Inn before the addition of the Victorian cross wing on the west end. The archive consists of about 1000 photographs, 450 documents , 100 maps and 12 recorded reminiscences collected over about 20 years. An annual exhibition of all of this material is held each February.